Photo: Courtesy of Club Monaco. There’s nothing better than finding the perfect bag, right? Especially since a great carryall is essentially the foundation of every outfit. Well, hold on to your straps (literally) because we just discovered the purse you’ll wear every single weekend for the rest of, well, your life. 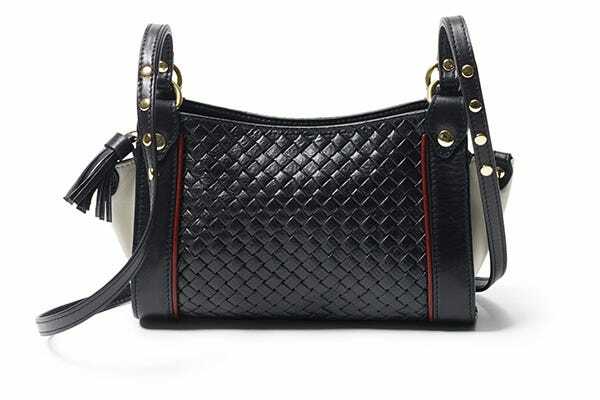 This crossbody from Mayle (exclusive to Club Monaco) features everything you need in a solid purse. It's fuss-free, large enough to hold your essentials (but won't weigh you down during those Saturday activities), and infinitely modern with woven accents and colorblocked detailing. Oh, and the best part? It’ll cost you under $250. Who said you have to drop $1,000 on a truly standout bag? Shop the beauty below, and be prepared to get carried away — we sure were.